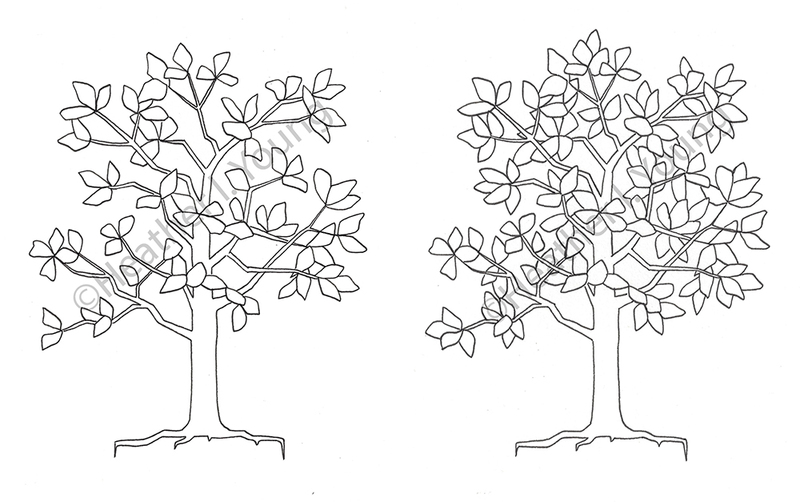 I love it when a couple has a vision and enough lead time for me to create something custom. Julia and Richard are getting married at the gorgeous Driehaus Museum in Chicago. 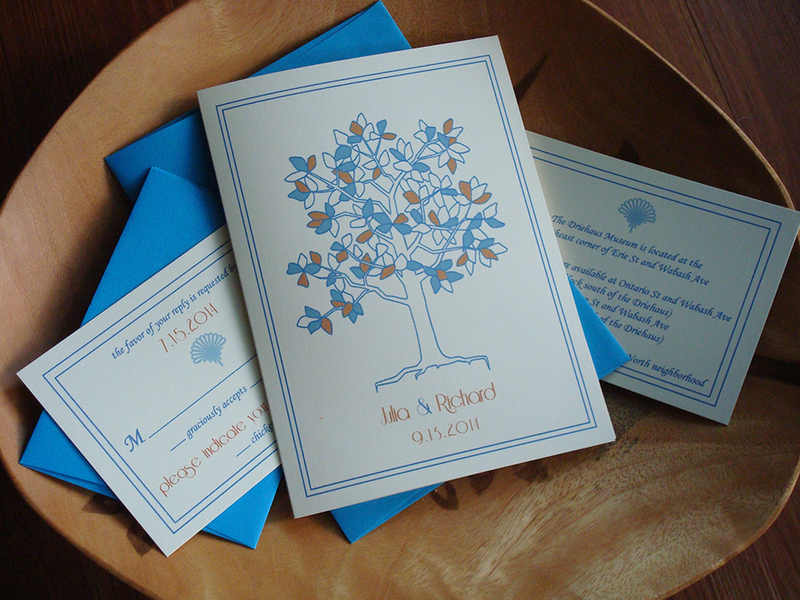 They wanted to incorporate a tree on their invitations and an overall Art Deco feel. The first place I look for inspiration is the wedding venue itself. Wedding invitations are the first impression your guests get of your Big Day, so if you can tie in the venue / setting in the little details, it makes for a nice added touch. 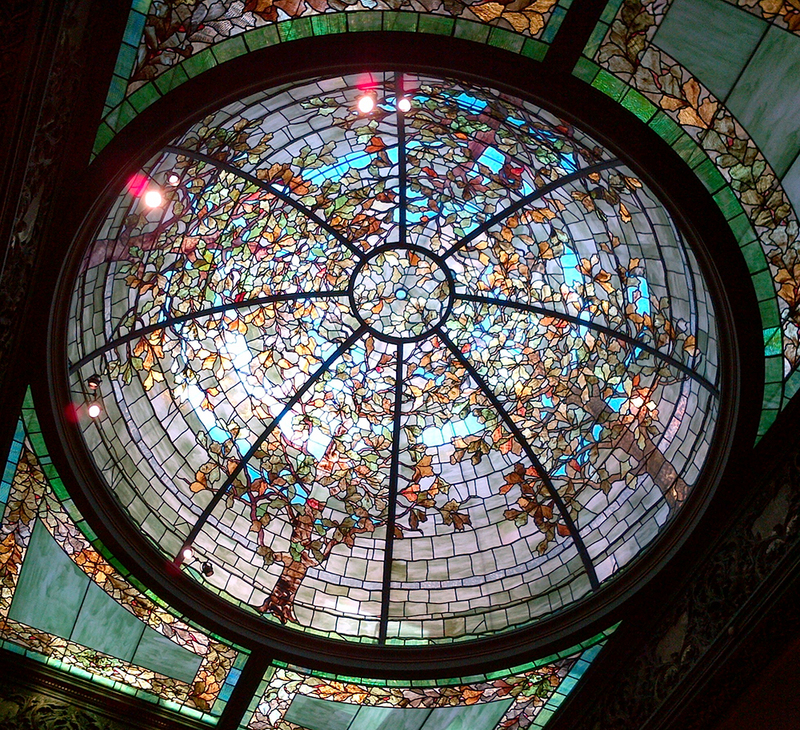 The Driehaus has an incredible domed stained glass window with trees on it. 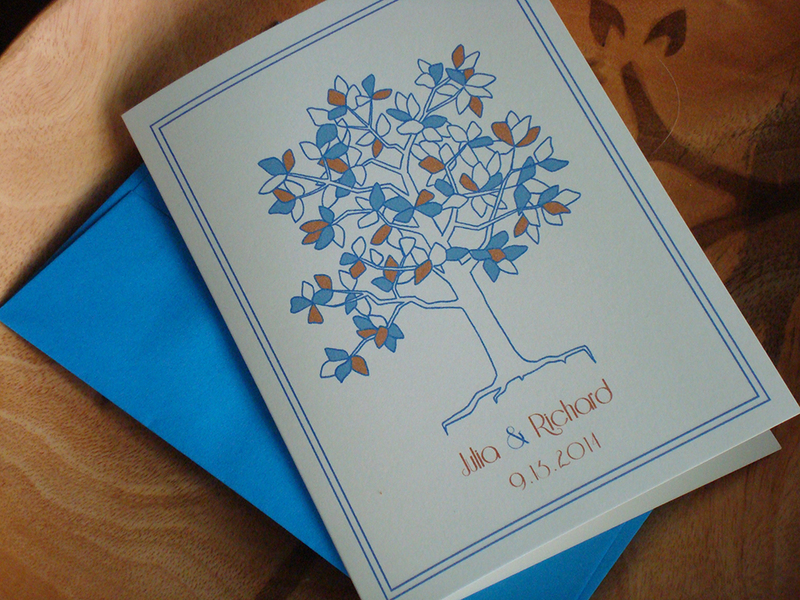 Julia & Richard really wanted a folded invitation, which allowed for the tree to be center stage! LOVE their wedding colors and how they add to the overall stained glass feel of the tree. Here’s a look at the full suite…. Thank you Julia & Richard! It was wonderful working with you! Hope your Big Day is spectacular!